Settled in 1623 and serving as home to America’s oldest seaport Gloucester, with one of the finest and fairest harbors in Massachusetts, remains among the busiest of fishing ports on the Eastern seaboard. Drawn to Gloucester’s rich history and natural beauty, visitors will delight in pristine beaches, fresh seafood and such water based activities as stand-up paddleboarding, kayaking, canoeing, snorkeling, fishing and the ever remarkable whale watching excursion. The artist community also plays a significant role in the history of Gloucester. Rocky Neck, one of America’s oldest continuously working art colonies, has attracted such accomplished artists as Milton Avery, Nell Blaine, Stuart Davis, Childe Hassam, and many more. Nestled within Gloucester are the quaint villages of Lanesville, Annisquam and Magnolia. Located between Ipswich Bay and the historic woods of Dogtown, Lanesville, with its proximity to abundant, cod-filled waters and granite quarrying, rose to prominence during the 1800’s. Today, many local artists call the area home and gather for such annual events as the Lanesville Music Festival and Art in Lanesville exhibition. Annisquam, an early fishing and shipbuilding center, is located just minutes off scenic route 127 and boasts the Annisquam Harbor Light Station, established in 1801, and added to the National Register of Historic Places in 1987. Just above Manchester lies charming Magnolia, home to Hammond Castle Museum. 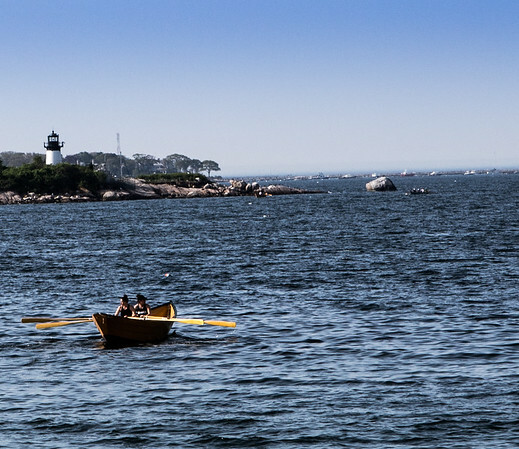 Having served as host to such well known visitors as John Philip Sousa and Lucille Ball, Magnolia offers everyone some of the most sweeping, majestic views of Cape Ann.